The return of the LCS, Overwatch Apex, and more! The World Electronic Sports Games wrapped up in China this week, with Team EnVyUs taking home the $800,000 prize by defeating Team Kinguin in the CS:GO final. We even got to see TNC Pro Team defeat Cloud9 in the Dota 2 finals. It’s certainly been a busy start to 2017 and we’re not slowing down yet. There’s plenty to watch, from top-tier League of Legends to the CS:GO: ELEAGUE Major. We even have some top quality action from Heroes of the Storm. All the details on this weekend’s events can be found below. League of Legends fans can tune into the European Spring Split today as the 10 teams from France, Spain, Germany and the UK, as well as Fnatic Academy, battle it out for their chance to represent Europe in the Mid-Season Invitational. We will find out if anyone has what it takes to challenge G2 for the crown. Misfits and GIANTS! Gaming kick things off today at 08:00 PST / 17:00 CET. The full schedule and stream can be found by heading over to LoL Esports. 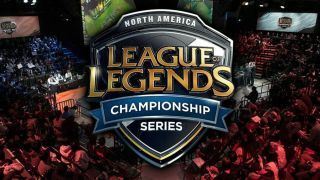 The NA LCS Spring Split also returns today and this season might be one of the most exciting to date. Top teams from the last split have all become a little bit weaker, especially TSM who lost their star player Doublelift and replaced him with Wildturtle. Cloud 9 have also acquired new coaching and player talent from South Korea and replaced Meteos with the talented player Contractz. Both these teams will be kicking things off today at 15:00 PST / 00:00 CET, while the full schedule and stream can be found over on LoL Esports. Eight teams will compete for the season five title and with a minimum prize pool of $125 000 on the line, plus the portion spent on chests and in-game tickets, it is sure to be a fiercely contested event. The tournament is scheduled for this weekend and the top teams are set to clash right from the beginning. Quarterfinals begin today at 01:00 / 10:00 CET and resume tomorrow at the same time. The event can be streamed over on Twitch. Sixteen of the best CS:GO teams will battle it out at the FOX Theatre in Atlanta, USA. The group stage will take place from January 22nd to the 26th, while the playoffs begin on the 27th and end on the 29th. SK Gaming is set to be the favourites after they dominated last year’s headlines. However, the competition will be extremely fierce as everyone will want a piece of the $1,000,000 pie. The schedule can be found here, while the event will be streamed live via the ELEAGUE channel on Twitch. The star studded lineups have been battling since Tuesday in order to grab their share of the $180,000 prize pool. OGN APEX Season 2 has invited four Western teams to compete with the best Korea has to offer. So far the group B bracket has been the group that has received the most attention as it features Asia’s highest ranked team, Lunatic-Hai. However, Europe’s second highest ranked team, Misfits, will also be looking to reign supreme. It’s likely the winner of this group may go on to win the tournament. Group C will be starting their matches today at 02:00 PST / 11:00 CET, while Group D start at 03:30 PST / 12:30 CET. The event can be watched over on Twitch. Heroes of the Storm’s HGC will see top teams battle for supremacy in regional professional leagues around the world. The best of the best will be tested in international clashes and a mid-season brawl as they fight their way to the finish at the HGC finals. The Heroes Global Champions will take home the crown and the winner's share of the cash prize. Europe’s first match between Team Dignitas and Misfits begins at 09:00 PST / 18:00 CET, while the North American match between Tempo Storm and Team Naventic starts at 14:00 PST / 11:00 CET. The full schedule and stream can be found here.